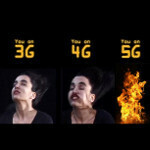 We're still in the middle of the whole 4G debate, where the original definition of 4G has had to be changed because of too much false marketing by big carriers, but that isn't stopping researchers from looking into what 5G mobile networks are going to look like. In fact, researchers at Brooklyn's Polytechnic Institute of New York University aren't just looking into it, they've received $2 million to make it a reality. NYU-Poly announced Thursday that it has received an $800,000 grant from the National Science Foundation, and that grant has been matched by $1.2 million from various corporate backers. Not much is known yet about how it will all work, but the theoretical idea is to use the millimeter-wave spectrum to create a mobile network that is 1,000 times faster than 4G, and can handle 50-100 times more traffic. Of course, these claims don't mention what flavor of "4G" is being used as comparison. The original definition of 4G had been for speeds of 1Gbit/s down and 500 Mbit/s up, but those numbers have been altered to include what T-Mobile, Sprint, AT&T, and Verizon call 4G, which can be far far slower (sometimes close to 100 times slower actually). The millimeter-wave spectrum would be the key, and it has a couple of benefits. First, it can handle the traffic, and second, it is completely unused right now. So far, it has been 2G which used spectrum up to 200 kHz, 3G which is up to 5 MHz, and 4G up to 40 MHz. The millimeter-wave spectrum is found between 3 and 300 GHz, so it has plenty of room to grow. Of course, none of this will come to pass any time soon. The research team at NYU-Poly is hoping to have the technology operational by 2020, so we've got another 8 years before we see anything. Still, we're pretty sure that carriers will likely start misusing the term 5G well before then. Why would they think that? Do fandroids think that galaxy s2 uses 2G network because of the "2" in the name? when the iphone 4 came out everyone thought i was 4G, same thing happened with the 4S. its almost a guarantee that someone, some day will walk into a wireless retailer and ask about the "iPhone 5G". ive heard some pretty crazy things about the next installment of the iphone. i didnt generalize all iphone users as ifans, because i have an iphone. just some people choose to believe in technology that cant necessarily be utilized in hand held devices just yet. Just call it G5 cause we flyin! Any guesses which carrier will be the first to mis-use the 5G nomenclature? I would nominate AT&T, based on past performance. Any guess of how long before Apple calls their iPhone 5G? How about when they release it this Fall? Networks are just now building there 4g networks and some or more then 6 months old. Only if you limit 4G to LTE. T-Mobile's 42 Meg HSPA+ is far superior than Sprint's Wimax. Also another fact, T-Mobile's 42 HSPA+ network is beating Verizon's LTE network in 11 of 15 Major cities in data speed. Just waiting until January when the LTE Advanced is out. Wow this has nothing to do with apple but you all telling jokes. I guess the next google update will be call CRASH DUMMY or CARE BEAR.